Weebly- I use Weebly because I love it's easy to follow format, it's smooth and fun table when building/designing, and also the fact they have amazing customer service that's extremely helpful and supportive throughout my journey. I highly recommend it for building your vision, your dream, your website! 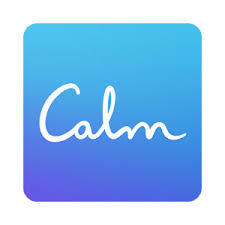 Calm-is an awesome I use when I need to shut my eyes for a few and just escape. I really enjoy the 7 days of Calm challenge and how there are so many options (scenery, noises, etc.) to choose from. The Free version has a lot to offer and I highly recommend it to finding a few minutes of complete peace. A must have for any teacher or parent! 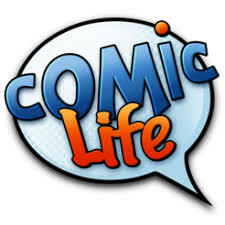 Comic Life is a visually-appealing app resource that brings your work to life. I use it for in school, with my own kids, and when I have a creative itch to create educational resources. In my opinion, all Ipads should come with this App! Fooducate- I could spend hours when I food shop using this app. Basically, it gives you reviews, ratings, and advice on healthy food options by simply scanning the barcode of the product you are looking for. 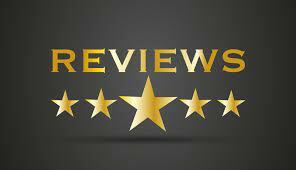 It will give you a rating based upon the nutritional value as well as offer other healthier alternatives. That is just a small glimpse of what this app can do. Time for you to Fooducate yourself more towards a healthier life! Healthy Truth believes in minimal ingredients, nothing processed and no refined sugars or fillers in any of their products. There motto is, "We believe that you have the right to know what you are putting in your body and we want to give you only the best!" So go check them out and be sure to give my favorite: Organic Raw Dark Chocolate Covered Coconut Chunks a try! The Hustle.co- Your smart, good looking friend that sends you an email each morning with all the tech and business news you need to know for the day. Curiosity is a fun and thought-provoking website that challenges you to learn, think, and grow in fun and meaningful ways. They are all about exploring the depths of knowledge through inspirational stories, powerful messages, and brain-scratching thoughts. I am a huge fan of Personal Capital because you can link all of your accounts (checking, savings, retirement, loans, etc.) and you can use their Free tools to help you budget, save, and plan for your future! ​1. Shop through Ebates at your favorite stores. 3. Get your Big Fat Check or PayPal payment. 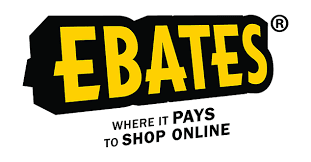 Mr. Rebates- is similar to to Ebates, however they offer different %'s from different websites. Credible- is an online marketplace that provides borrowers with competitive, personalized loan offers from multiple, lenders in real time. Bloom- is an SEC Registered investment advisory firm built by a few guys that grew up in the midwest. With over 30 years of cumulative experience in advising real people with portfolios that have ranged in value from $250-$100,000,000, odds are they can fix yours too. 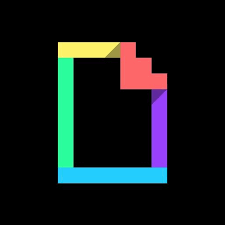 Giphy- can't seem to find the words to say? No worries, and just make your own GIF to send. Fun way to bring pictures and videos to life. Use in and out of the classroom for some excitement! 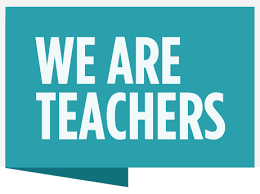 We Are Teachers- is an awesome site that caught my eye by chance when I received an email to enter a fun contest. I then began to learn more about the site and realized they have top-notch articles/insight into the profession, witty and humorous perspectives on what teaching entails, inspirational and meaningful information towards achieving teaching greatness, and most importantly a strong vision and mission towards supporting and inspiring those in the profession. Napkin Finance- do you need to explain something to someone, but want to do it fast and effectively? Use Napkin Finance and find an illustrated napkin that explains economics, finance, investing, or any other focus involving money and life. 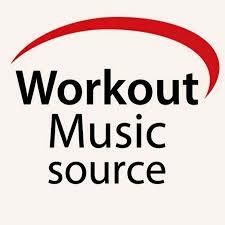 Workout Music Source- what an awesome Youtube channel that has high intensity and high bpm music to get your students(and yourself) rocking out to. Discloser- This page may include affiliate links. When you click on a link/buy a product, Mr. Clark's PE might make a few bucks at no extra cost to you.